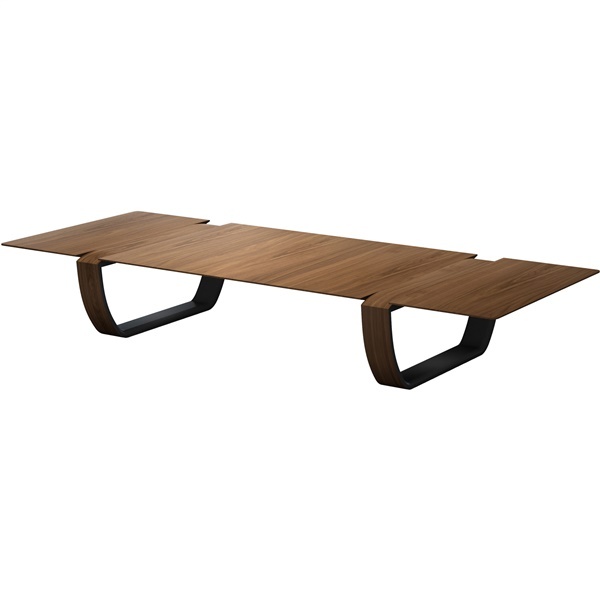 The Addington Coffee Table by Modloft boasts thin, rich walnut veneer that will complement any style décor. Ultra sturdy construction and infinity legs make this piece something that you can use daily or occasionally. Its infinity legs feature a graphite metallic lacquered interior for an added hint of glamour.